The cervical spine comprises the first 7 vertebrae of the spinal column, which form the neck. The cervical spine is highly mobile compared to other regions of the spine such as thoracic or lumbar spine. The lumbar spine is composed of the lower 5 vertebrae, which have been numbered L1 - L5. The lowest vertebra of the lumbar spine (L5) is connected to the top of the sacrum, which is a triangular bone present at the base of the spine fitting into the two pelvic bones. In some cases, an extra or sixth lumbar vertebra may be present. Find out more about Anatomy of the Spine (Cervical, Thoracic and Lumbar), click on below links. Find out more about Spondylolysis, click on below link. Find out more about Vertebral Compression Fractures, click on below link. Find out more about Spine Trauma, click on below link. Find out more about Cervical Radiculopathy/Myelopathy, click on below link. Find out more about Lumbar Radiculopathy , click on below link. Find out more about Neck Pain, click on below link. Find out more about Low Back Pain, click on below link. Find out more about Back Pain, click on below link. Find out more about Spondylolisthesis, click on below link. Find out more about Spine Deformities, click on below link. Find out more about Cervical Fracture, click on below link. Find out more about Fracture of the Thoracic and Lumbar Spine, click on below link. Find out more about Herniated Disc (cervical and lumbar), click on below link. Find out more about Sciatica, click on below link. Find out more about Scoliosis, click on below link. Find out more about Degenerative Disc Disease, click on below link. Cervical spine refers to neck portion of spine, and cervical spine conditions may result from overuse injuries, trauma and certain diseases. Cervical stenosis refers to narrowing of the spinal canal that protects the spinal cord and its branching nerves. The condition causes neck pain radiating to arms and hands, numbness or weakness in the legs. This condition causes cervical myelopathy and cervical radiculopathy. Find out more about Spinal Stenosis (Lumbar and Cervical), click on below links. Degenerative spinal conditions are group of disorders that causes loss of normal structure and function of the spine. These disorders may be caused due to aging, infection, tumors, muscle strains or arthritis. Degenerative joint disease is commonly known as arthritis that affects feet, fingers, hands, spine and weight-bearing joints. It is caused due to the inflammation of joints because the articular cartilage covering the bones may be damaged or worn out. Find out more about Degenerative Spine, click on below link. Find out more about Cervical Myelopathy, click on below link. Find out more about Cauda Equina Syndrome, click on below link. Spinal fusion surgery involves the fusion of two or more vertebral bones, and is a standard of care for spinal deformities and conditions such as radiculopathy, myelopathy and spondylolisthesis. However, in the long-run, the surgery may be associated with adjacent segment disc disease, a complication in which the spinal segments above and below the fused portions develop abnormalities such as disc degeneration, instability, spinal stenosis or disc herniation. Find out more about Adjacent Segment Disc Disease, click on below link. Find out more about Cervical Disc Protrusion, click on below link. Find out more about Ankylosing Spondylitis, click on below link. Spondyloarthropathies are a group of chronic inflammatory diseases of the spine and joints. The most common spondyloarthropathies include ankylosing spondylitis, reactive arthritis, psoriatic arthritis and arthritis secondary to inflammatory bowel diseases such as ulcerative colitis and crohn’s disease. Spondyloarthropathies can occur at any age, however, they occur more often in young males. A positive family history increases the risk of spondyloarthropathies. Find out more about Spondyloarthropathies, click on below link. Find out more about DISH (Diffuse Iliopathic Skeletal Hyperostosis), click on below link. Find out more about Cervical Degenerative Disorder, click on below link. The spine forms natural curves at the neck, torso and lower back, which allows it to absorb shock and hold the weight of the head. When this curvature is accentuated at the lower back, it is a condition called lordosis. Lordosis may develop during childhood as a benign condition, or may develop later in life as a result of poor posture, osteoporosis, obesity, discitis (inflammation of the intervertebral discs) or spondylolisthesis (mal-alignment of the vertebrae). Find out more about Lordosis, click on below link. Lumbar degenerative disc disease (DDD) is a common cause of low back pain. The vertebrae are cushioned by intervertebral discs which act as shock absorbers, for the spine. Over time, these natural shock absorbers wear out and degenerate due to aging, trauma or injury leading to DDD. Degenerative disc disease is not actually a disease but refers to the changes in the spine that occur as a part of the normal aging process. Find out more about Lumbar Degenerative Disc Disease, click on below link. Find out more about Lumbar Disc Herniation, click on below link. Herniation of a disc is an anomalous spine condition characterized by leakage of the inner contents of the intervertebral disc, due to cracks in its outer wall. Herniated disc is commonly seen in the cervical or neck region, a condition called cervical herniated disc (CHD). CHD is followed by arm or neck pain that may arise due to compression of the spinal nerves by the protruding disc material. 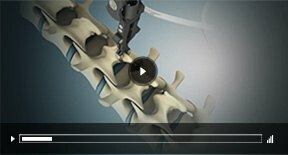 Find out more about What’s New in Cervical Herniated Disc, click on below link. Find out more about Epidural Steroid Injections, click on below link. Lumbar braces are external devices used to restrict movement of the lumbar spine and provide support and stability to the lower back region to relieve back pain and promote healing, after surgery or injury. Braces are also called orthotics and are made from different materials such as nylon, rubber, molded plastic and elastic cotton. Find out more about Lumbar Spinal Bracing, click on below link. Find out more about Lumbar Spinal Injections, click on below link. Spinal braces are external devices that help in the management of spinal disorders. They restrict the movement of the affected region of the spine, as well as support and stabilize it to relieve pain and promote healing following injury or spinal surgery. Braces are also called orthotics and are made from different materials such as nylon, rubber, molded plastic and elastic cotton. Find out more about Cervical Bracing, click on below link. Find out more about Thoracic Spinal Injection, click on below link. Find out more about Cervical Disc Replacement, click on below link. Find out more about Lumbar Discectomy, click on below link. Find out more about Spinal Fusion, click on below link. Find out more about Artificial Cervical Disc Replacement, click on below link. Find out more about Spinal Decompression, click on below link. Find out more about Lumbar and Cervical Laminectomy, click on below links. Find out more about Foraminotomy (Lumbar and Cervical), click on below links. Find out more about Thoracic Corpectomy, click on below link. Find out more about Kyphoplasty, click on below link. Find out more about Lumbar Fusion, click on below link. Find out more about Spine Osteotomy, click on below link. Find out more about Spine Deformity Surgery, click on below link. Find out more about Cervical Spine Fusion, click on below link. Thoracic spine decompression is a procedure to relieve pressure on the spinal nerves in the middle portion of the back. Spine decompression surgery is indicated in treating spinal stenosis. Spinal stenosis is the narrowing of the spinal canal caused by degeneration ofthe facet joints and the thickening of the ligaments. These thickened ligaments narrow the spinal canal and compress the nerves causing chronic pain, numbness and tingling sensation or weakness in your arms or legs. Find out more about Thoracic Spine Decompression, click on below link. Find out more about Minimally Invasive Spine Surgery, click on below link. Find out more about Lumbar Decompression, click on below link. Find out more about Transforaminal Lumbar Interbody Fusion, click on below link. Find out more about Posterior Lumbar Fusion, click on below link. A posterior lumbar interbody fusion (PLIF) is a surgical technique that involves correction of the spinal problems at the base of the spine by placing bone graft between two vertebrae. Minimally invasive surgical techniques may be used to perform the procedure. Find out more about Posterior Lumbar Interbody Fusion (PLIF), click on below link. Find out more about Posterolateral Lumbar Fusion, click on below link. Find out more about Lower Back (Lumbar) Surgery, click on below link. Find out more about Lumbar Corpectomy and Fusion, click on below link. Find out more about Lumbar Foraminotomy, Facetectomy, click on below link. Find out more about Lumbar Interbody Fusion, click on below link. Find out more about Lumbar Sympathetic Block, click on below link. Find out more about Minimally Invasive Lumbar Surgery, click on below link. Find out more about Minimally Invasive Lumbar Discectomy, click on below link. Find out more about Anterior Lumbar Interbody Fusion, click on below link. Find out more about Posterior Cervical Fusion, click on below link. Find out more about Posterior Cervical Laminectomy and Fusion, click on below link. Find out more about Anterior Cervical Corpectomy & Fusion , click on below link. Find out more about Minimally Invasive Cervical Discectomy, click on below link. Find out more about Minimally Invasive TLIF, click on below link. Find out more about Anterior Cervical Discectomy and Fusion, click on below link. Find out more about Anterior Cervical Discectomy, click on below link. Find out more about Cervical Corpectomy and Strut Graft, click on below link. Find out more about Thoracic Discectomy, click on below link. Find out more about Thoracic Spinal Fusion, click on below link. Find out more about Thoracic Vertebroplasty, click on below link. The spine is made up of small bony segments called vertebrae. These vertebrae are categorized into cervical or neck vertebrae, thoracic (upper back), lumbar (lower back) and sacrum. A cylindrical bundle of nerve fibers called the spinal cord passes through the entire vertebral column and branches out to the various parts of our body. 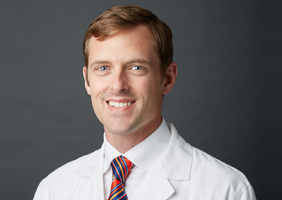 Find out more about Minimally Invasive Microdiscectomy, click on below link. Sacroiliac joint fusion is performed to stabilize a dysfunctional joint in the pelvic region. The procedure helps alleviate pain when conservative methods fail to provide relief. Find out more about Sacroiliac Joint Fusion, click on below link. Find out more about Nutrition & your Spine, click on below link. Find out more about Possible Complications of Spinal Surgery, click on below link. Find out more about Post-op Instructions, click on below link. Find out more about Spine Rehabilitation, click on below link. Find out more about Healthy Back Tips, click on below link.